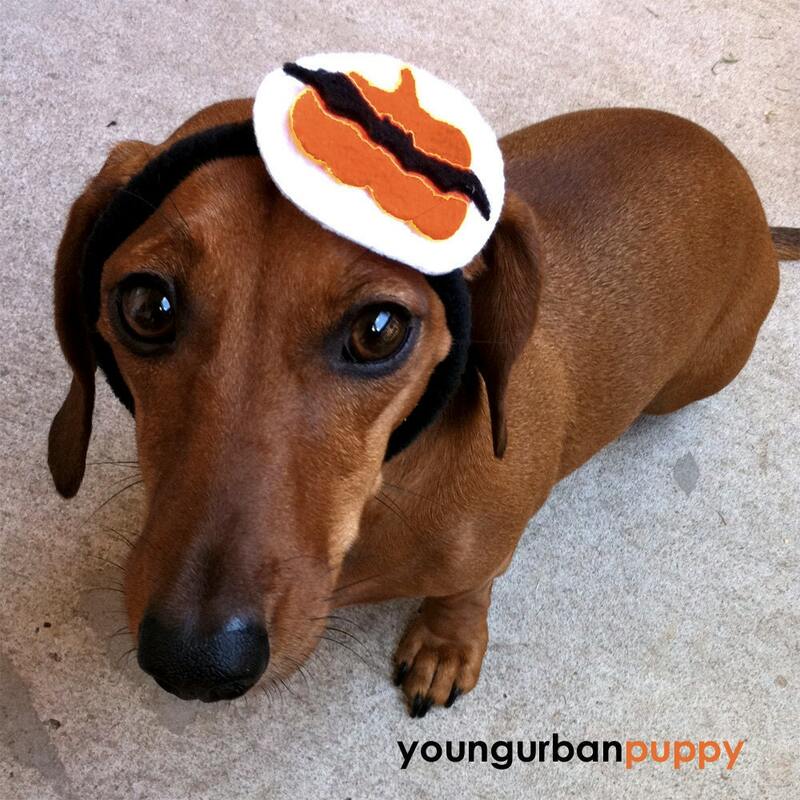 Today's Halloween giveaway is for a precious set of these Halloween Doggie Headbands from Young Urban Puppy , a fabulous shop run by Jenielle with costumes and accessories for your dog. 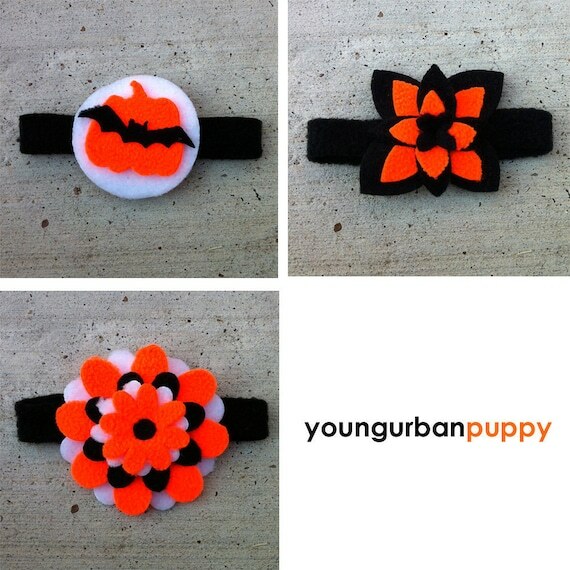 Your pup will be in the Halloween spirit with this set of Halloween headbands. They all feature neon orange, black and white and are hand cut and custom made. 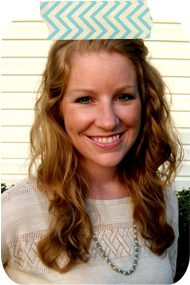 This headband is specially engineered to stay put even during the most ferocious head shakes! If your puppy is a boy, this design can also be worn as a collar adornment. Each headband is custom hand made to fit your pup’s head. And if you have not visited her shop yet, go there immediately. 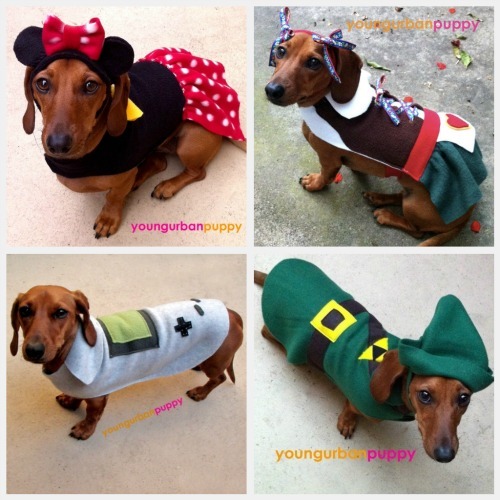 She has the cutest custom-made Halloween costumes for your pup. She says to allow 2 weeks for it to be made. You've still got time for this year! 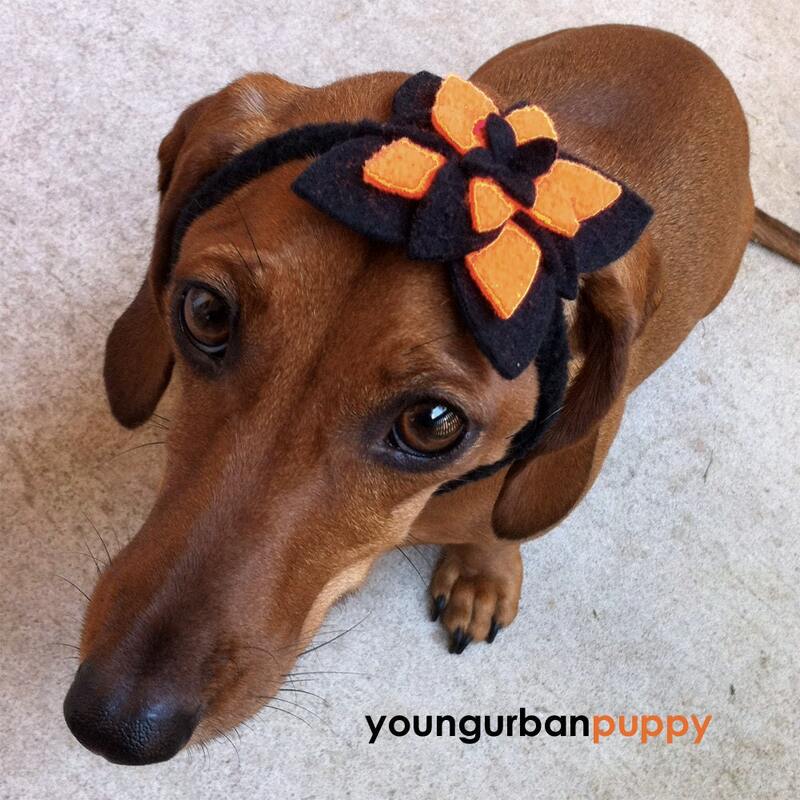 Want to win these cute headbands for your doggie? Do any one (or all if you wish) for a chance to win. Each thing you do counts as one entry. Comment for each one you do on this post! Oh, and you'll be glad you liked her on FB because she advertises secret sales for her shop AND she adds pictures of her and her dog, Parsnip's, matching outfits. Check out the awesome album here. Good Luck! 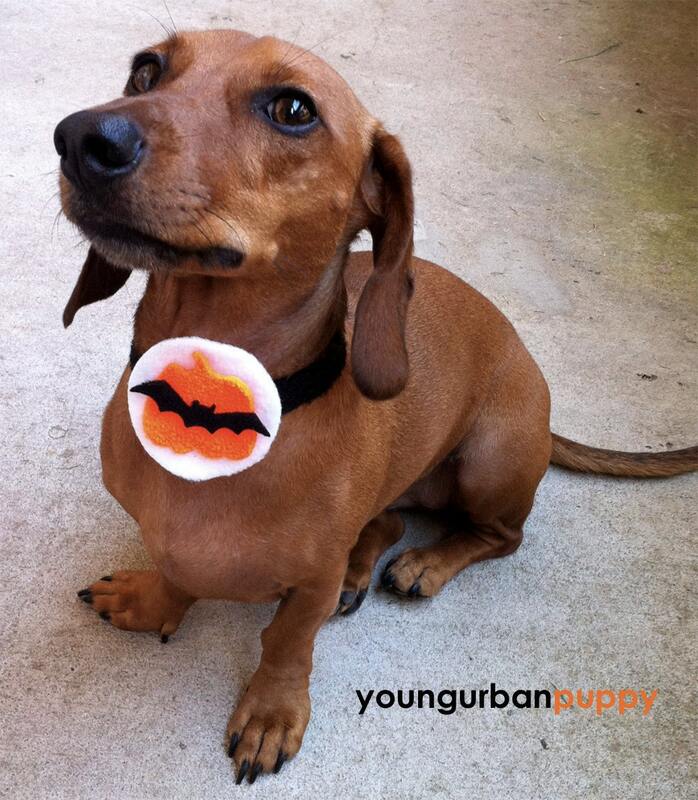 And thanks Young Urban Puppy! Giveaway ends Saturday, October 1 at midnight (eastern time) and winner will be chosen by Random.org. I love these (although I'm pretty sure my two furbabies would rip them to shreds in a matter of miliseconds). Is it bad that I look at them and say "I could make that?"